Click 'n Cook is definitely the Essential Utensil! I was a little confused when I first heard about the product, but now that I have used it I wonder how I ever lived without it. 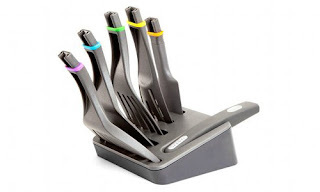 Imagine being able to change your utensils by just pushing a button, well it is possible! Does anyone else hate kitchen clutter? Here is the first step to getting rid of that mess! If there is one thing I hate while cooking, it is trying to figure out which spatula to use for what. I don't know about you, but when I need a specific spatula I can never find the one that I need when I need it. The click 'n cook keeps them all in the same place at once! 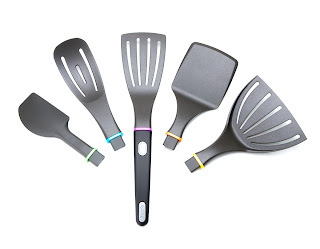 These are just a few of the reasons why this is the best spatula ever! The inventor, Fred Ende, submitted his idea to Quirky, Inc about the Click 'n Cook because of the space issues he and his wife were having in their utensil drawer. In my opinion they have truly outdone themselves with their product the Click 'n Cook! It also makes clean up a breeze! All you have to do is push the button over the sink and its already in the sink ready to be cleaned! No mess required! I absolutely loved this product. I used it to make omelets and I couldn't even explain how easy it made things. I loved having everything right there as I needed to use the different types of spatulas. I also loved the way it seemed to shoot out when I pressed the button! It meant I didn't even have to be standing right over the sink to put it in! This product made it so easy to switch utensils at a fast pace in order to cook different aspects of the omelet in a speedy way! The Click 'n Cook would make a great mothers day gift, wedding gift, birthday gift, house warming gift, or a great treat for yourself! Whether you are an experienced chef or just like to cook dinner at home this product is a must have! Right now you can find the Click 'n Cook at Quirky's website for the great price of $39.99. The Click 'n Cook is worth every penny! The Home Shopping Network agrees! This Saturday The Click 'n Cook is appearing on HSN for the first time, so be sure to check it out for yourself. You can also check them out on facebook and twitter! Disclosure: I received the product above for the purpose of my review, and I would like to state that my opinions are 100% my own. THose look cool! Im stopping in to say HI from The Product Review Place. I can't wait to see more of your blog! I'm your newest GFC follower! 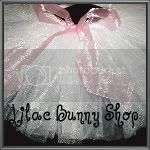 Stop over at Susieqtpies Scraps of Life! These look wonderful!!! Would love to try them!